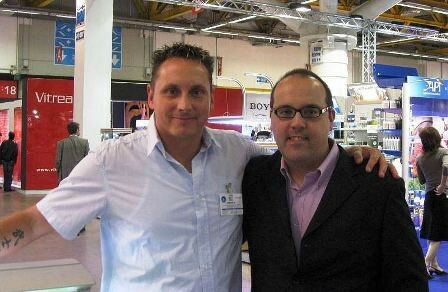 Andrea Perotti interviewed for www.aquaexperience.it a legend of aquascaping, Oliver Knott. I live in Southwest-Germany near the city Heidelberg. I start to work 1988, when I was 16 years old, in a pet store. It was a offical education to learn the profession: pet store sales man. 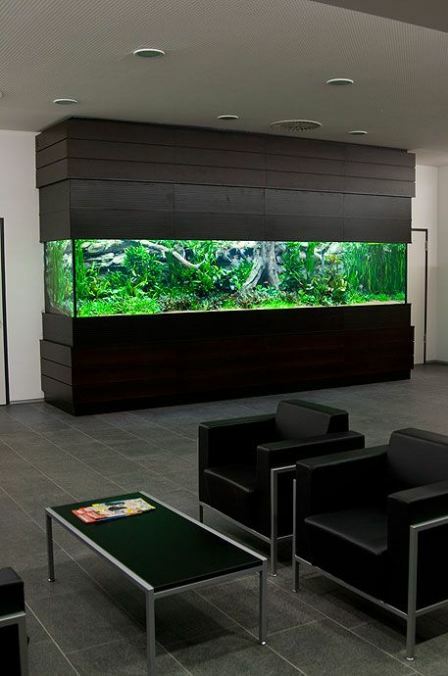 In 2001 i start with my own company specialist in maintain and set up aquariums tanks. 2. 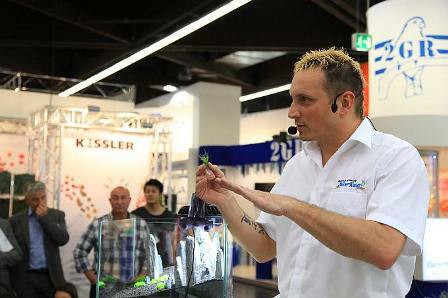 How much important have been, for your career, the outcomes you obtained in Aquascaping Contest? For sure to win the AGA 2004/2005 contest it was a strode forwards. 3. In studying and realizing your "Nature Soil", was there a collaboration with Anubias? Currently your products have to be considered as an independent brand or are they tied to Anubias? The NatureSoil was a indepedent project from myself before I start my collobaration and friendship with Anubias. It was a lucky chance that we come together and that Anubias decide to distrubute the NatureSoil in Italy. 4. Are you planned, for the future, to develop your own line for liquid fertilization specifically designed to be combined with the "Nature Soil"? At the moment we have still the NatureFertilizer(by Anubias) on the market. Which is a full fertilizer for beginners matched for the NatureSoil. But we still work on a bigger line. 5. Currently how do you manage the liquid fertilization in your aquariums? Do you prefer industrial or self-made products? Normally I prefer industrial products because I try to convince customer from products which they can buy and use in a easy way. And there enough good product available. For example the Anubias line which I can highly recommend. Normaly about 20-25% per week and I make my “Express” waterchange in big tanks: water in side on the left side at the tank, and water out on the right side in the tank, in the same time. So is save 50% of time, important if you maintain a lot of tanks. In Germany you only have to add a little bit water conditioner thats all. The water quality is very good...only a little bit hard sometimes. 7. Do you recommend CO2 injection only during the daylight or 24h a day? Do you use the oxygenator during the night? Also for economy reason I switch them out in the night. 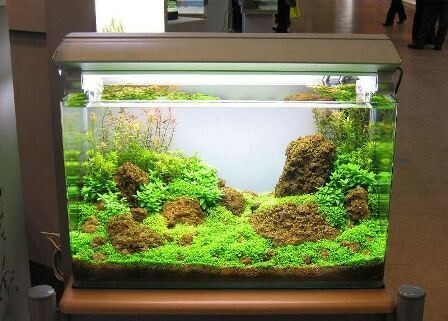 And for real extreme planted tank with Riccia and other strong assimilate plants I recommend the oxygenator in the night. 8. How do you manage the filtration in your aquariums? Only mechanical or biological too? Which filter materials? A good mixture. For me mechanical (filter wool) is more important if you have a lot of fish inside. Overall the whole tank (soil, deocoration,...) is the biggest biological filter in every aquarium after few months, more then every filter. 9. Is it important the water circulation in aquariums? Use additional aquarium pumps? Depending of the plants and fishes inside. Normally I use only filter pump for the circulation. For the most of planted tank it is enough. The only thing I want test in the future is a river stream pump with dynamic stream to grow river plants inside. As I know the plant grow under this condition must be amazing, to simulate the river stream like in a nature river. 10. Do you often test your water parameters? Which are the most important parameters to monitor? Which parameters do you usually keep in your tanks (pH, kh, ...)? No real much. I take a look in the tank and at the plants and add fertilizer most time by feeling, like a cook which add salt and pepper by feeling. For sure parameter like: PH, KH are important to have on the monitor. Also: Iron, Nitrat, Phosphat sometimes. But overall my slogan to this theme: who measures to much measures rubbish! 11. In your opinion, does it make sense to recreate the same conditions (including chemical parameters) of the original fish's biotope? Do you think aquariums have to be treated as artificial systems or some kind of natural ones? If you want that people have fun and enjoy their hobby aquarium, you have to make it as easy as possible. 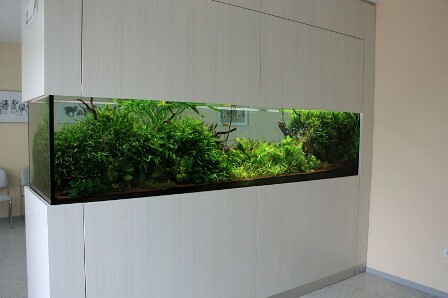 So simulate the original conditions of biotope is very difficult for the most of the people and can end more in a disaster then in a successful aquarium. So we have to find a way that everybody can make good copy of the nature in the home. 12. In new set up, when you introduce the first animals? When I make every 3 days a water change of 30% I put in the first animals about 10 days after set up. Like snails and some first shrimps. 13. How many aquariums are you managing right now? Which kind of layouts do you make use of? Actually I maintain myself about 30-40 different aquariums every week. But not the same every week, it change from customer to customer. Some I visit every week some only once the month. 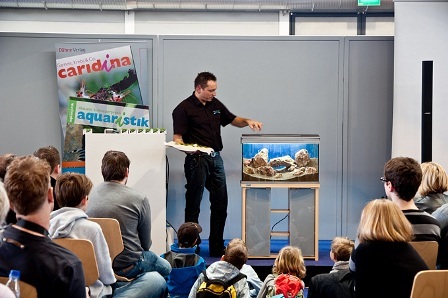 I coming up with really new and special layout in the Winter 2012/2013 especially for the “Art of planted aquarium” in Hannover in Germany. Stay tuned ! 14. Can you tell us some aquascapers you like the most? Takashi Amano will be my “All time favourite” because he raise the level in an other sphere as he start with the NatureAquarium in the 1990. I bow deeply. 15. What do you think about the new IAPLC rules coming on 2012? I am looking forward to see the winner coming out with the new rules. 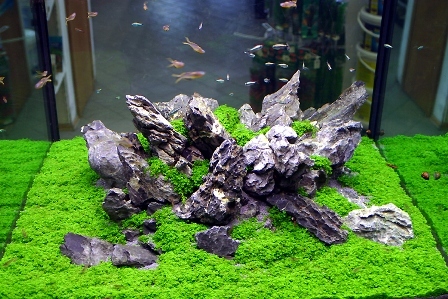 The are so many amazing aquascapes this year and really not easy to decide. Let’s see soon who is the top of the world! 16. Apart of aquascaping, do you have any other hobby? The most important when I have free time: my family and my 2 kids (2 and 5 years old)...the are the most important in my live before aquascaping! Well, Oliver, the interview is ended. The Aquaexperience.it staff thanks you for the time you've dedicated to us. It was a pleasure for me giving you this interview. My best regards to all my fans in Italy! You have a lot of great aquascapers in your conutry and you are real nice people in Italy ;) I really love to visit your country...especially the amazing fresh food. Maybe we see us at the 18.10.2012 (Sunday) in Cesena (Live Aquascaping powered by Anubias).